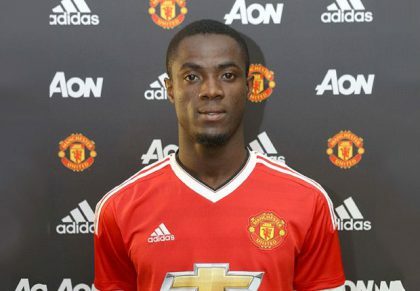 The signing of Eric Bailly last month saw him become the fifth African international to ever wear the red colours of Manchester United, following an underwhelming trio of Eric Djemba-Djemba, Manucho and Mame Biram Diouf, and the versatile Quinton Fortune, who was somewhat of a success. Salim Masoud Said profiles one of Africa’s most promising defenders, taking an all-round look at his game and how he will fit in at Manchester United. When Boubacar Barry, the figure of fun and African football’s undisputed beta male for much of the last decade, stepped up to convert the tournament-winning spot-kick past Razak Brimah, the final words of the heartbreaking affair of Ivory Coast’s golden generation in the Africa Cup of Nations were written. For Barry, it was the Hollywood happy-ending which reminded us all that sometimes life is fair, that nice guys do finish first, that maybe, just maybe, all those motivational quotes on Instagram and Facebook are right; that if you couldn’t handle him at his Abdoulaye Soulama then you sure as hell didn’t deserve him at his match-winning Jean-Jacques Tizie best. History is written by the victors, and it will now be forgotten how much the Ivorian defence was in disarray in the run up to the tournament. Their quality in attack was off-set by a rabble of a defence which made only the deluded tip them to win AFCON. They limped to the tournament having conceded an eye-rubbing 18 goals, the joint most out of all the teams that made the trip to Equatorial Guinea. Their coach Herve Renard, a man who knows that to win an AFCON a team must, above all, value the hard currency of defending, was at a loss. Sol Bamba had consistently shown he was too error-prone to be a starter for a side that was serious of winning such a tournament, Lamine Kone had crumbled with nerves away in Yaounde while Ousmane Viera didn’t synchronise brawn with brain. Renard had to cast his eyes wider for his short-term fix, and, rather than in seasoned, firefighting foot-soldiers, those panaceas would be found in the unlikely untried and untested young pair of the Dutch-based Wilfried Kanon and, crucially, Eric Bailly, then of Malaga, later of Villareal and now of Manchester United. Born and bred in the town of Bingerville, it was in the SFG Holy Grail of Burkina Faso that Bailly would catch the eye of Espanyol’s scouts in 2011. Issues over his work permit meant it would be another two years before the Ivorian could play competitive games when he would taste action for the Espanyol B team. but it only took 21 games before he was fast-tracked to the senior team in October 2014, making his debut as a late substitute in a 2-0 win over Real Sociedad. When Patrice Beaumelle, Renard’s assistant, made the trip to Espanyol to see Bailly in the flesh his decision was quickly made. From making his full debut for the cash-strapped Espanyol in November 2014, by early January 2015 Bailly was being readied by as part of a reconstructed 5-man Ivorian defence in the pre-tournament warm up friendlies as Renard sought to cover the holes. And the Jaime Lannister doppelganger showed no reticence in throwing Bailly into the deep end. In his second competitive match, with the ball at his feet in his own box and under pressure from an opposing forward, he flicked the ball up and headed it back to the keeper. By the laws of the game this was a back pass and Mali had a free-kick in a very dangerous position that was akin to a penalty. The jury was out and rightly audible: there was no chance a more experienced player would have committed such an error. Coming in at just over 6 foot, you would think, logically, that Bailly would go some way to repelling the targeted set-pieces Man Utd had to endure last season, but that could still be a problem. While he is good in the air, his lapses in concentration at the wrong time can result in errors. Throughout AFCON the defender showed regular misjudgement of the flight of the ball, resulting in fouls, chances and, in the quarter-final and semi-final goals for Hillel Soudani and a converted penalty by DR Congo. The accumulation of so many errors in such a short time period means he wasn’t a typical reliable Renardian major tournament defender. In a league where teams smell and exploit aerial weakness, that error of judgement, compounded with the language barrier of not being able to speak English, could be Bailly’s biggest problem in his first season. Those major mishaps at AFCON 2015 failed to blur the precociousness that was irrefutable. For the national team, his fellow young centre-back Kanon may have had a faultless tournament in comparison, but when sized up against each other it was unquestionable which player had the ceiling to propel to the very highest level, and a swift move to Villareal would come to fruition after the completion of the tournament. The compilations doing the rounds in the aftermath of his move to Manchester United will show the strengths of Bailly, and of that there are many. Powerful, aggressive in the tackle and comfortable with both feet, the 22-year-old was a stalwart last season in an excellent Villareal defence which kept 17 clean sheets and conceded just 35 times in 38 games in La Liga, finishing fourth and reaching the semi-finals of the Europa League in the process, with Bailly displaying his versatility by even playing in the full-back positions when need be. While the timing and smoothness of his tackles is an area of his game he needs to work, his speed and physicality means he has no problems going toe-to-toe with even the finest dribblers in world football, as Lionel Messi and Cristiano Ronaldo would attest after their duels with him last season. It’s easy to see why he has been compared to Sergio Ramos, a refreshing precedence considering black defenders are usually seen as successors of other black defenders, as he has a similar toughness and resilience, and is overly keen in the tackle, as his 10 yellow cards and 1 red from last season more than hint. Passing is not a striking feature of his game but he is comfortable on the ball and has the regality and confidence that makes him capable of marauding, inspired runs out of defence that help to ignite attacking phases. His surge against much-fancied Algeria in the AFCON 2015 quarter-finals in the lead up to Wilfried Bony’s goal was the sort of stardust that sorted the good from the very good, underlining his promise. Due to his minimal English language skills – and currently only being able to communicate well with players who speak Spanish or French, which are definitely not Chris Smalling, Phil Jones or Luke Shaw – Jose Mourinho has indicated Bailly may not start initially as he gets up to speed with the language, though there’s no doubt that based on recent form he is good enough to start: he is as good as Smalling if not better, with more room to improve. Bailly’s compatriot Kolo Toure is probably the last very good defender Africa has produced at the very top level, though he started out as a protean player – usually deployed in midfield but happy to play anywhere because he is just a very nice man – before stepping back to the heart of the defence for Arsenal. There is no chance that Bailly will eclipse the affability of the gregarious defender, that would be an impossible task for any man. But with a higher skill-set and better physical attributes, Bailly has all the ingredients to go on to surpass Toure on the pitch and become one of Africa’s great defensive exports.